Below are six charts I created from Internal Revenue Service (IRS) data that show patterns in American business over time. From 1945 to 2005, the number of American businesses grew faster than the population. From the end of World War II until 1980, average revenues and net income at American corporations declined significantly, but have since remained largely constant. 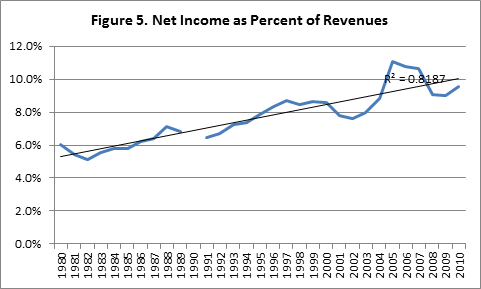 Since 1980, net income as a percentage of revenues at American businesses has increased. From 1990 to 2011, business income has declined as a fraction of total income of individual taxpayers. 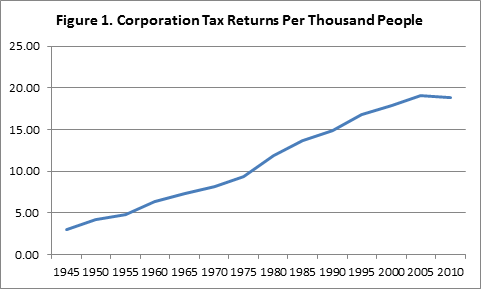 As Figure 1 indicates, from 1945 to 2005 the number of corporation tax returns per capita rose steadily. 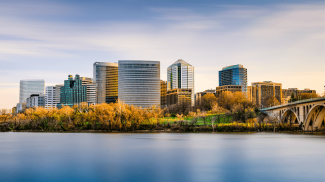 But then, the period from 2005 to 2010 marked the first five-year decline in the per capita number of corporations since the end of World War II. 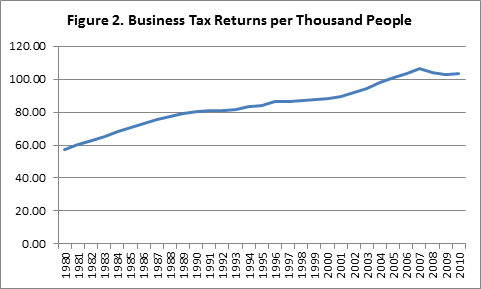 As Figure 2 shows, the per capita number of all business tax returns – which combine sole proprietorships and partnerships with corporations – grew substantially over the 1980 to 2006 period. Then between 2006 and 2010 the number of business tax returns per thousand people declined slightly for the first time since data have been collected (1980). As Figure 3 shows, average revenue of corporations fell steadily between 1945 and 1980, when measured in inflation adjusted terms. 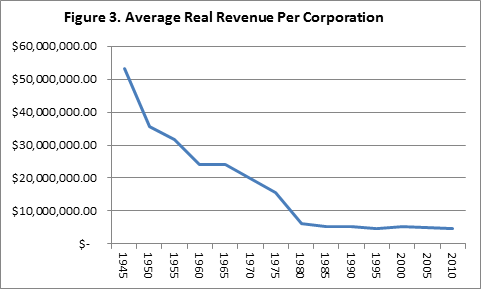 Between 1980 and 2010, however, the average revenue per corporation has remained largely constant in real terms. 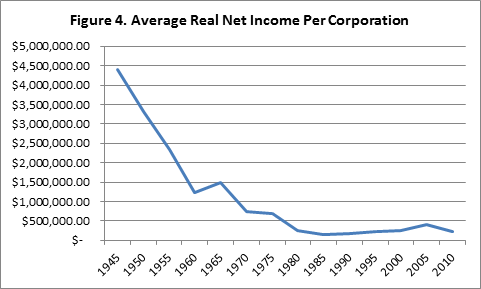 As Figure 4 shows, net income of the average corporation largely declined between 1945 and 1980 when measured in 2010 dollars. However, between 1980 and 2010, it has been mostly steady. So, what should we make of all these data pictures? 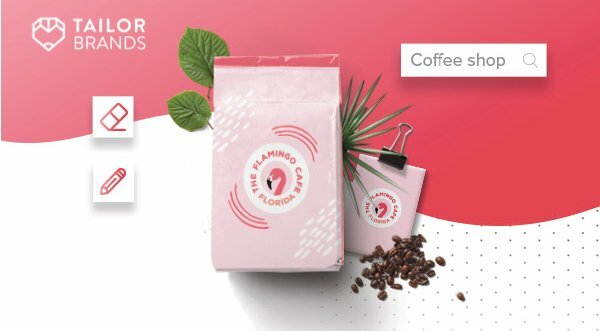 Increased amount of businesses starting, but with lower profitability? I think it has something to do with businesses spreading themselves thinly. You can easily get a good portion of the market as long as you provide a unique service. 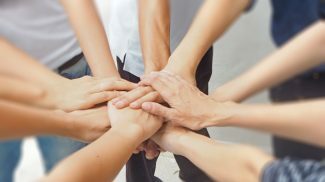 As long as you’re not just another product or service provider on the market, then you’ll get good revenue. 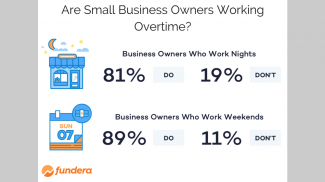 I think this is just a summary for businesses on the whole given that more businesses are done in a smaller scale. Aira Bongco: Could develop your ideas on this issue? One of the picture is saying that the margins have increased during the last 30 years.